It was forever ago that I published one of these posts! I became inspired to write one again after listening to an old iPod I found. On it was all the music I listened to in high school and college. It definitely gave me nostalgia and was a blast from the past! I love when stations play older songs! What are some of your favorite songs or bands from back in the day? This album also makes the drive to and from work seem less dreary. Usually I listen to this album on the way home because it is more relaxing for me. Their music is great and I need to download more of their albums. I have listened to Babel so much because it is just that good! Also, have been loving Sigh No More! Ugh, I just can’t get enough of the band! Favorite songs are asterisked. Until my area gets or improves their radio stations or adds new ones to the mix I am going to stick to my own music. My drives will consist of favorite albums, playlists on my iPod, and cd Mix. Yeah, yeah, I’m kind of old fashioned when it comes to tech and gadgets. Heck, my car is so old it even has a cassette player. So I guess that’s it folks. Feel free to comment with any albums or artists you think I should check out. I have a pretty eclectic music taste but not into rap or old country/bluegrass. Been slacking on the music mood posts but I guess I have just been waiting for some inspiration or good music to post about. This summer my family and I took a road trip from FL to NY. I knew the drive would be very long so I created road tip mixes to play while on the road. Since the drive to NY was long I needed lots of songs to keep us going during the trip. I have to say the came out better than expected and I have been listening to them lately. 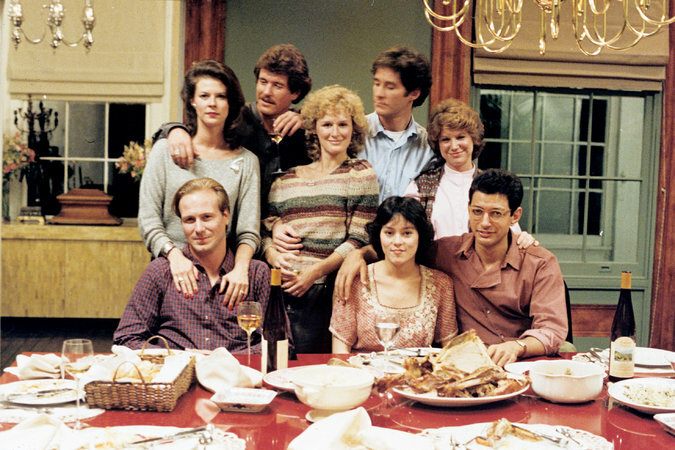 Lately I have been listening to the soundtrack to the movie The Big Chill. The album is amazing and I have been playing it for the past few days. My family is old school and we have The Big Chill record and a record player so I play the album on that instead of from iTunes. Let me tell you this was a nice refreshing break from the overplayed pop songs on the radio. Love this album and I should go old school more often! What is you favorite oldies album or soundtrack? Check out the movie too! It’s just as good as the soundtrack.